Ten Inch Kindle Fire Due out Before the End of the Year? Digitimes is up to their usual rumor-mongering again, but this is one that I think we should listen to. They're reporting a confirmation of past rumors that a larger Kindle Fire is currently under development at Foxconn, the Chinese gadget maker who also assembles the Kindle. The 10" Kindle Fire is supposedly being assembled now and is due to ship some time before Christmas. There's no details on the hardware specs but it seems likely that the 10" Kindle Fire will be very different from the model that was announced this week. The 7" model was made by Quanta, and it clearly is a close relative of the Playbook, RIM's Blackberry tablet. While I wouldn't be surprised at a 10" Kindle Fire, I don't expect it before Christmas. If Amazon planned to ship it that soon then Jeff would have had it on display at the press conference Wednesday. The larger kFire would need to ship in late November, just like its smaller brother. Also, a sudden appearance of a new kFire tablet would cause an upset in the supply line. Lots of people would decide to cancel their orders for the smaller model and get the larger one instead. That could stick Amazon with an over-full warehouse as deliveries from the factory backed up. 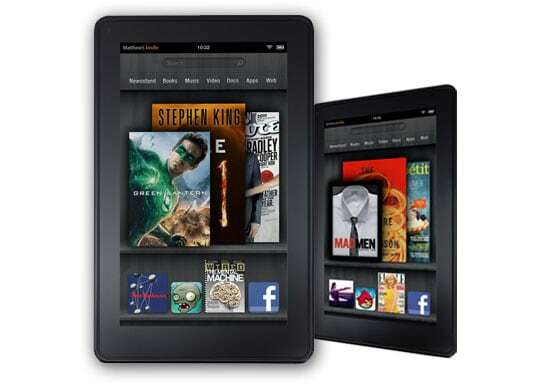 Even so I expect Amazon to eventually unveil a larger Kindle Fire. It will likely launch in March or April, and I expect Amazon to schedule their event for the week right before the iPad 3 launch event. I think the 10′ will just be a bigger version of the 7′. Amazon has never been concerned about the coolest hardware, and so while it won’t be identical I’m not expecting much excitement. I agree, if it was that close to release, Jeff would have shown it off with the 10” model. I’m reluctant to buy anything so close close to CES 2012.. I think you are quite right. there are rumors about kindle touch 3G with web browsing disabled with 3G and enabled only with wifi. Have you heard it? That’s what the help pages say, yes.